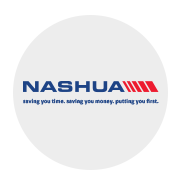 “Brand inc has been a preferred supplier to Nashua Ltd for all our below-the-line requirements since 2004. In 2013 They took over the lead agency responsibility of the Nashua brand, handling all of our advertising, marketing, communications and sponsorship requirements. Brand Communications Manager, Nashua Ltd.